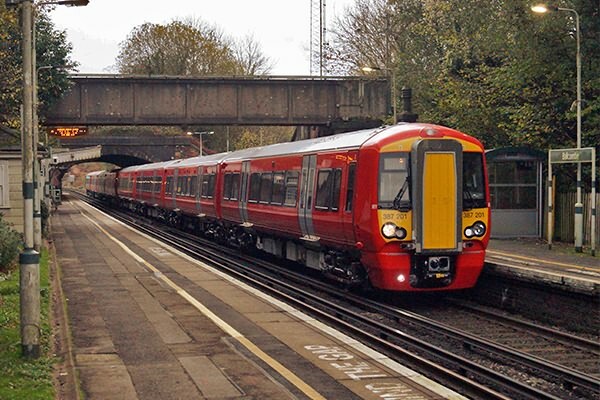 DC testing/mileage accumulation of Gatwick Express' new Class 387/2 units started on Tuesday 10th November running between Bletchley and Brighton. Arguably this is the more important part of their testing as, as currently planned, they will spend all of their working lives on the DC system. Two days later 387201 and 387202 are captured in failing afternoon light heading north to Bletchley through Balcombe. At this time only 201 and 202 have been delivered to Bletchley from Derby. Note that at the moment the units do not carry any branding.